Traffic Jam in the Cell: How Are Proteins Assigned to Specific Transporters? 9/04/19 A fundamental cellular mechanism ensures that proteins are transported to the places they are needed in the cells and vesicles are responsible for that transport. Determining their composition has been difficult up to now, not least because of their short life span. 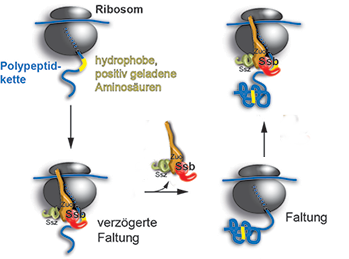 By combining innovative investigative techniques, biochemists at Heidelberg University have succeeded in analysing two of these transport vesicles – the COPI and COPII vesicles – comprehensively for the first time. 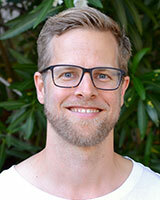 Dr. Frank Adolf from the group of Prof. Wieland published the results of this research in the journal “Cell Reports”. More info here. 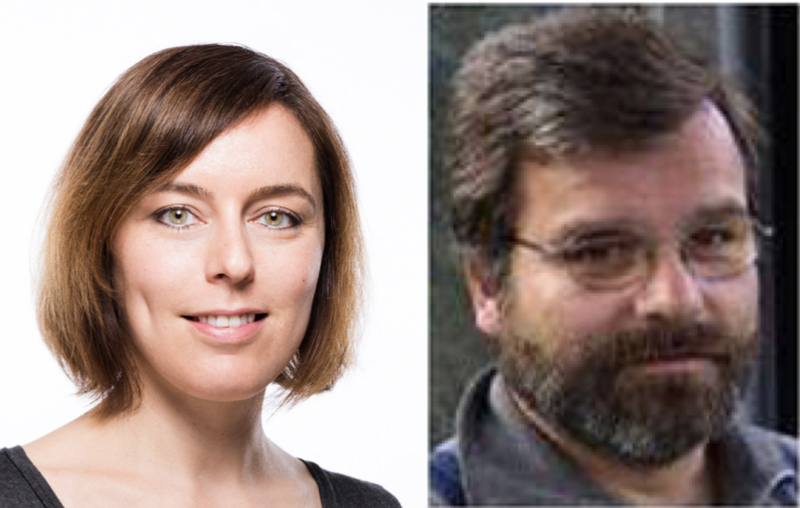 8/02/19 Prof. Dr. Thomas Braunbeck and Dr. Lisa Baumann of the Aquatic Ecology and Toxicology research group at the COS, just received 1.2 Mio Euro funding from the EU for two new research projects on the effects of endocrine disruptors in fish. Together with 15 international partners, they just launched their 5-year EU H2020 project "ERGO“ on new testing and screening methods to identify endocrine disrupting chemicals (see https://twitter.com/ERGO_EU). Additionally, they received funding for a 2-year EU tender project to develop study protocols for testing of endocrine disrupting effects in non-mammalian vertebrates or invertebrates to improve the identification of substances disturbing the endocrine system in biotic systems, i.e. regulatory relevant endpoints for environmental hazard assessment. 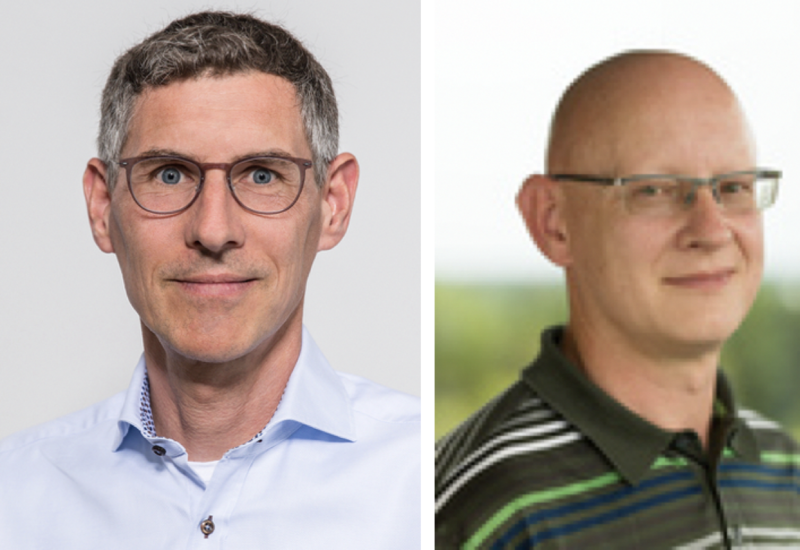 24/10/18 Both Jan Lohmann and Joachim Wittbrodt and their respective cooperation partners were able to secure an ERC Synergy Grant over the next six years. 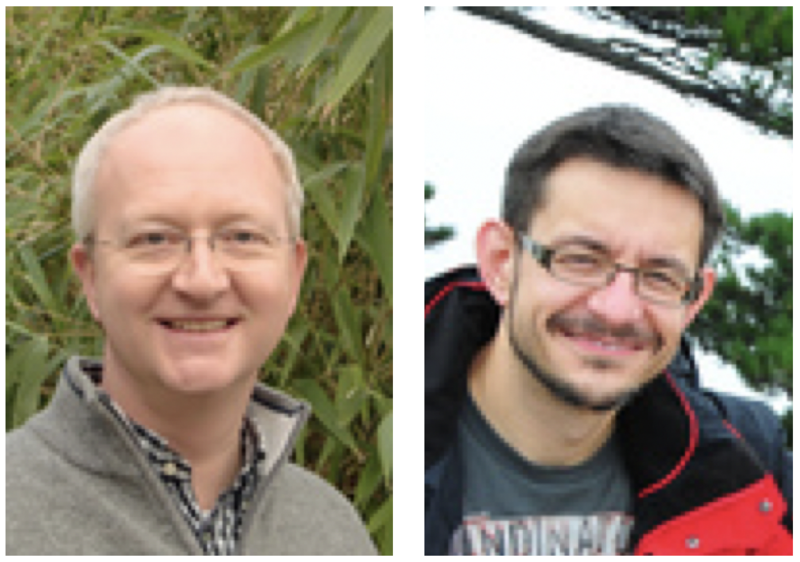 Jan Lohmann (COS) and his colleagues Michael Boutros (DKFZ), Wolfgang Huber (EMBL) und Oliver Stegle (EMBL/DKFZ) receive a grant for their project: DECODE, Decoding Context-Dependent Genetic Networks in vivo. Jochen Wittbrodt (COS) and his colleague Ewan Birney (EBI, Hinxton, UK) were succesfull with their proposal ‘IndiGene’ – Genetics of individuality. ERC Synergy grants are awarded to cooperations of two to four researchers, who can explicitly show that the project they propose can only be carried out by their combined efforts. The European Research Council published a list with all 27 honoured proposals. The official press release of the University can be found here. 17/10/18 Nitrous oxide, or N2O, is a greenhouse gas that affects the ozone layer and the earth‘s climate. Until now, experts believed that microbes in the soil were largely responsible for its formation. 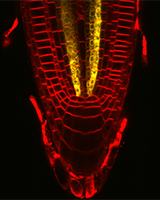 Now an interdisciplinary research team from the University of Applied Sciences Bingen and scientists from Heidelberg, like Dr. Steffen Greiner of our faculty, have looked more closely at plants as the source. The result of the study: The earth‘s flora emits considerable amounts of nitrous oxide that contributes to the greenhouse gas effect. Unlike human-induced global warming, however, this process is part of a natural effect. More info here. 5/10/18 The formation of protein complexes is a highly organised process that does not begin with the “finished” proteins. Studies conducted by researchers at the Center for Molecular Biology of Heidelberg University (ZMBH) and the German Cancer Research Center (DKFZ) demonstrate that they already form in a coordinated way when the protein subunits are synthesised. “Our findings fundamentally alter our understanding of how biologically active protein complexes form in the cell,” reports Prof. Dr Bernd Bukau. The results were published in “Nature”. More info here. 29/08/18 The molecular tool CRISPR/Cas allows introducing DNA double strand breaks into any gene of interest consequently resulting in stochastic mutations at the site of the target gene. However, precise gene repair through the application of a rescue construct suffers from limited efficiency. Researchers at our faculty have now found a solution for this problem. Applying their new approach on the Japanese rice fish model organism also known as medaka, the researchers laid the groundwork for easily integrating the repair copy of a defective gene into the DNA. As developmental biologist Prof. Dr Joachim Wittbrodt explains, this efficient process makes precise genome editing possible in basic research, bringing the tool much closer to its application in medical treatment. More information here. 13/06/2018 The Team of HEIDELTEC, being located within the Institute of Pharmacy and Molecular Biotechnology (IPMB) was ranked 3rd in the “Gründerpreis Baden-Württemberg 2018”, which was endowed with 5000,- Euro. In addition, the team won the ACHEMA-Gründerpreis 2018 (10.000 Euros). 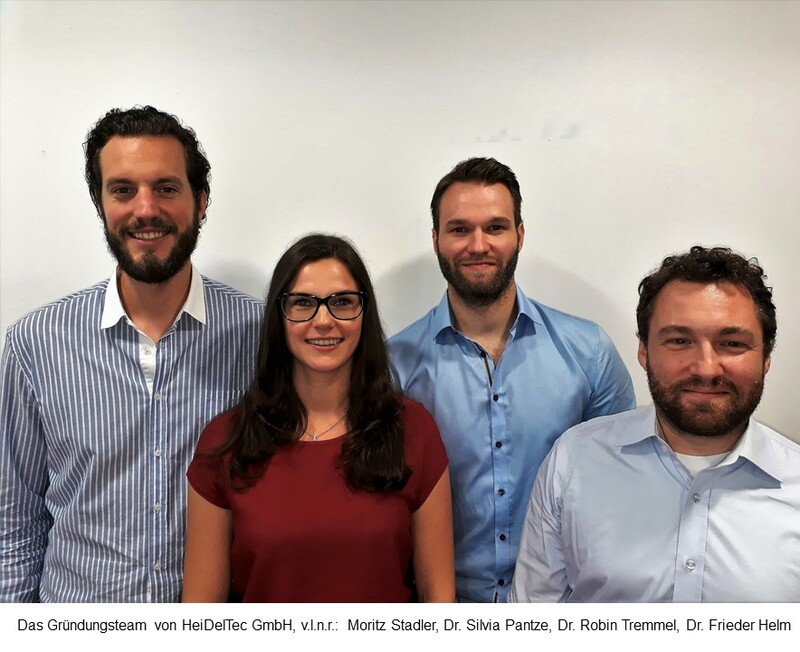 Subject of research and development of HEIDELTEC (Dr. Silvia Pantze, Dr. Robin Tremmel, Dr. Frieder Helm und Moritz Stadler) is the creation of a solid oral dosage form for peptides and proteins, drugs which otherwise can only be applied by intravenous injections. A short summary can be found on Youtube. 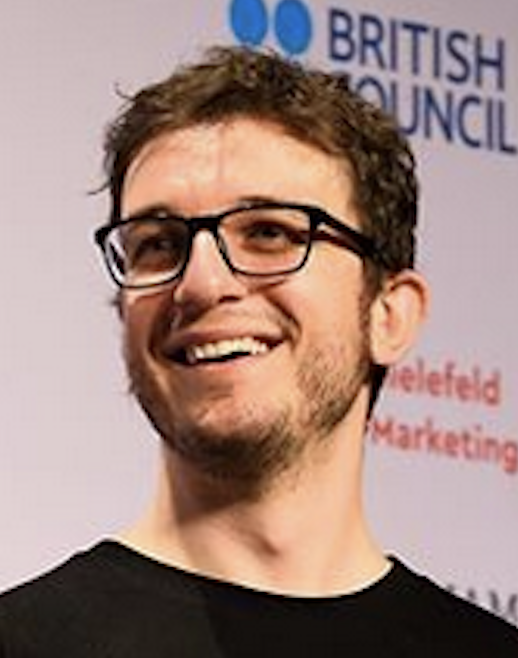 18/05/2018 Dr. Veli Vural Uslu wins the German national FameLab competition and secures a spot at the international final which takes place at the Cheltenham Science Festival in the UK. FameLab is an international competition organised by the Britisch Council to promote Science Communication. In three minutes, participants have to explain a scientific topic to a general audience. Dr. Uslu is a postdoc in the group of Prof. Rüdiger Hell (COS) and his research is all about how plants sense nutrients in their environment. At the national FameLab competition in Bielefeld he focussed on the 'good viruses' that create diversity in plants as well as in animals and thereby convincing the jury of his science communication skills. See also the Famelab-website and this article in a local newspaper. 16/04/2018 A cleavage product of the Alzheimer's APP protein stimulates nerve cell communication and memory. The protein fragment, known as APPsα, has neuroprotective properties and acts as a signal molecule on other nerve cells. But how does it influence brain functions? 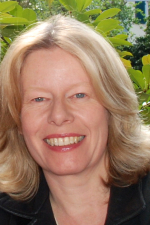 An international research team led by Prof. Dr Ulrike Müller of Heidelberg University has gained new insights into the molecular mechanism underlying its physiological functions. The researchers discovered a receptor for APPsα, which paves the way for new treatment approaches for Alzheimer's. More information. 13/03/2018 Heidelberg Research in the Life Sciences and Medicine ranks first in Germany and 40th worldwide according to the latest QS world university rankings by subject. If only the Biosciences are taken into account, the University still ranks 40th worldwide and second in Germany. 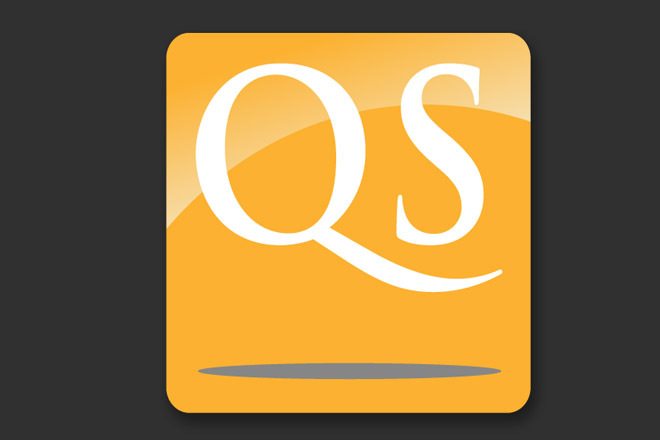 The QS Ranking, previously also known as the Times Higher Education Ranking, looks at several different aspects of scientific output like citation analysis, student/faculty ratios and reputation. The results are published each year. More information can be found here. Dr. Dominik Niopek did not only win the Ruprecht-Karls-Preis, he also was selected for the Klaus-Tschira KlarText Prize last October. This prize is awarded to scientists who are able to explain the subject of their thesis in a clear and entertaining way. You can find his text here. Every year the Klaus-Tschira foundation awards this prize to seven scientists from the disciplines: Biology, Chemistry, Geoscience, Computer Science, Mathematics, Neuroscience and Physics. The next deadline is 28.02. More information here. 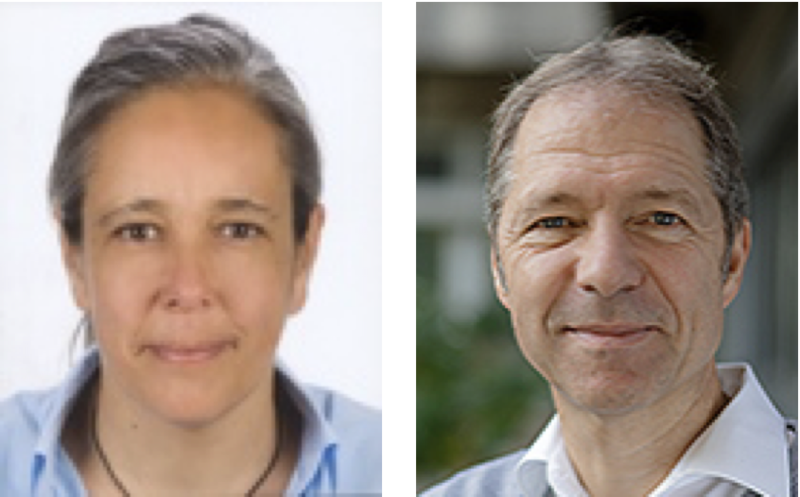 The SFB/TRR 83 “Molecular Architecture and Cellular Functions of Lipid/Protein Assemblies”, a joint network in lipid research of the universities of Heidelberg, Dresden, and Bonn, will continue its work in a third funding period. After a successful evaluation, the German Research Foundation (DFG) has approved funds of about 10,7 million euros. 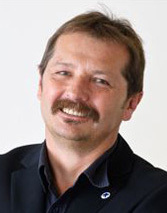 Ruperto Carola has the lead role; scientists at the Heidelberg University Biochemistry Center (BZH) coordinate all the cross-institute activities of the network. 4/12/2017 On the 29th of November, ZMBH PhD candidate Roman Sakson received the GBM-Masterprize for his master thesis titled: “Establishment of an MRM Assay for the Quantification of Human Hsp90 and Its Cochaperones in Different HCC Cell Lines”. The Gesellschaft für Biochemie und Molekularbiologie (GBM) awards this prize every year to an excellent master thesis. His master thesis in Molecular Biotechnology was carried out in cooperation between the groups of Prof. Dr. Matthias Mayer and Dr. Thomas Ruppert. 20/11/2017 Dr. Dominik Niopek received the Ruprecht Karls Prize for his thesis ‘Optogenetic control of Nucleocytoplasmic Protein Transport. This prize is awarded once a year by the Stiftung Universität Heidelberg to excellent young scientists who have made an extraordinary contribution to their field of science. 27/10/2017 A paper by Dr. Sven Sahle (a junior group leader in the department of Prof. Kummer, COS, BioQuant) and Dr. Christoph Zimmer was awarded the 2017 IET Systems Biology Premium Award. This award is handed out each year by the Institution of Engineering and Technology (IET) to the best paper published within the last two years in one of their journals. 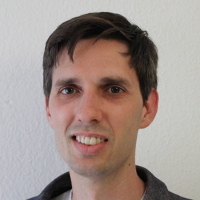 His paper titled ‘Deterministic inference for stochastic systems using multiple shooting and a linear noise approximation for the transition probabilities’ can be found here. 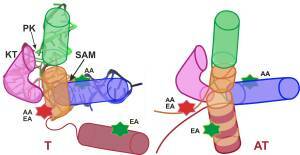 14/10/2017 Many bacteria have molecular control elements, via which they can switch on and off genes. These riboswitches also open up new options in the development of antibiotics or for the detection and decomposition of environmental toxins. Prof. Dr. Andres Jäschke of the IPMB together with researchers of Karlsruhe Institute of Technology (KIT) and the Freie Universität Berlin have now used light optical microscopy of single molecules to fundamentally study the way riboswitches work. This is reported in Nature Chemical Biology. 26/7/2017 Heidelberg Delivery Technologies, HeiDelTec GmbH, a new start-up company, which has emerged from within the Institute of Pharmacy and Molecular Biotechnology. After successful participation in the Exist-Research-Transfer Program of the BMWi, the IPMB leads basic pharmaceutical research to practical application thus setting new pulses in the area of improving bioavailability and effectiveness of drug formulations. The founders, Dres. 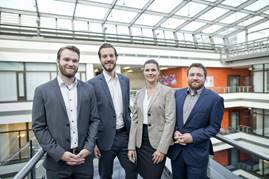 Silvia Pantze, Robin Tremmel, Frieder Helm and Johannes Parmentier from the group of Prof. Fricker, Dept. 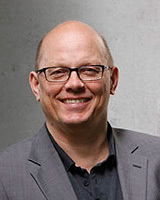 Pharmaceutical Technology and Biopharmacy, as well as business economist Moritz Stadler develop a technology, which allows oral administration of otherwise parenterally given drugs, e.g. peptides and proteins. These biologicals, covering a market volume of appr. 220 billion US$ p.a. have usually to be given by painful i.v. injections, and therefore alternative routes of administration are most desirable. 9/06/2017 The composition of specific functional protein complexes in their cellular environment can now be analysed with unprecedented resolution. The team led by junior group leader Dr Julien Béthune at Heidelberg University Biochemistry Center has developed a new technique which allows the scientists to overcome a long-standing hurdle in molecular cell biology. The method called “split-BioID” allows them to analyse context-dependent protein complexes which could not be identified previously. Their research results were published in the journal “Nature Communications”. More Info here. 26/05/2017 A new Collaborative Research Centre (CRC) will investigate the function of a fundamental cellular signaling pathway. Funded by the German Research Foundation (DFG), the CRC will start its work at Heidelberg University. After successful review, the DFG approved approximately 8,5 million euros in funding for the next four years. 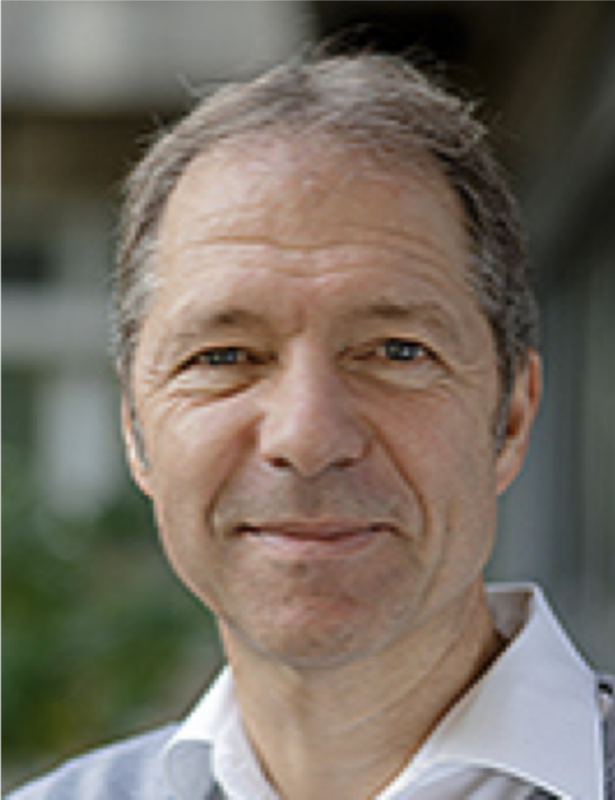 Prof. Dr Thomas Holstein of the Centre for Organismal Studies (COS) is the spokesperson for CRC 1324, “Mechanisms and functions of WNT signaling”. 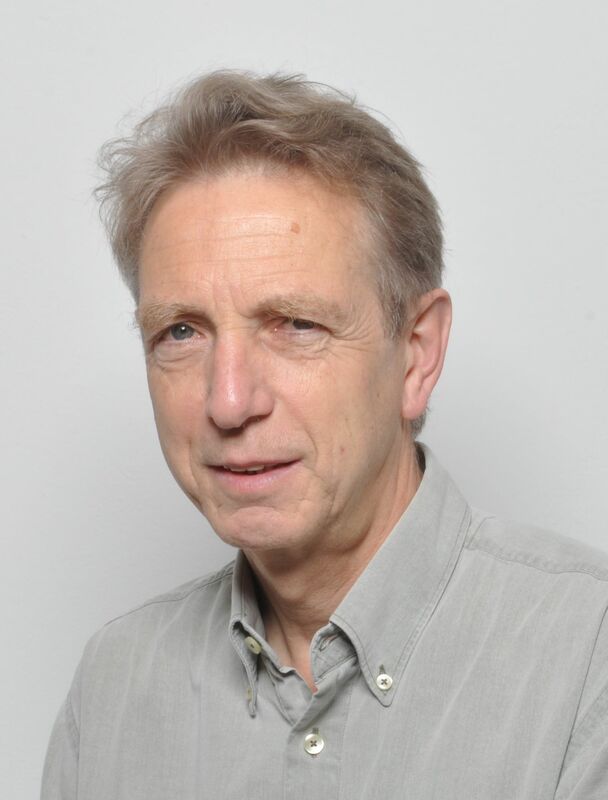 The research will focus on Wnt proteins which control the central processes of embryonic development, cell differentiation, and the development of tumours. The comprehensive interdisciplinary collaboration aims to study the molecular mechanisms for the Wnt signaling pathway which is central to biology. The CRC will begin its work in July 2017. More information here. 17/05/2017 Mehmet Ali Öztürk, PhD student at HITS and at the Hartmut Hoffmann-Berling International Graduate School of Molecular and Cellular Biology (HBIGS) of Heidelberg University, has been awarded the „Preis der Dr. Alexander und Dr. Rosemarie Bauer-Stiftung“ of Heidelberg University. The 3000 Euro award enables young researchers to have a research stay in Germany or abroad. More info here. 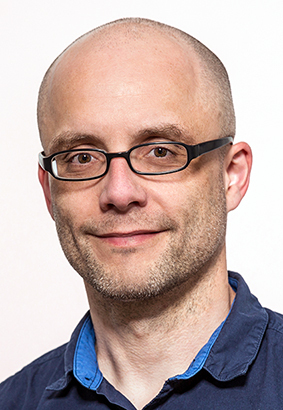 7/04/2017 The European Research Council (ERC) has awarded a highly endowed grant – an ERC Advanced Grant for leading researchers in Europe – to Heidelberg molecular biologist Prof. Dr Bernd Bukau. The five-year endowment will fund a research project in which the scientists will study the maturation of proteins in cells. The central question is how a cell can efficiently “fold” amino acid chains into functional proteins with a three-dimensional structure and assemble them to protein complexes. 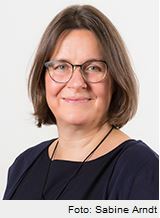 Prof. Bukau is director of the Centre for Molecular Biology of Heidelberg University (ZMBH) and at the same time does research at the German Cancer Research Centre (DKFZ). Approximately 2.1 million euros are available to fund the research work, which will start in summer 2017. More info here. 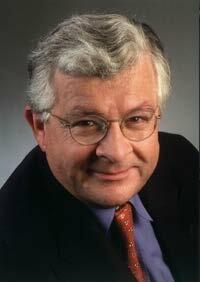 7/04/2017 The European Research Council (ERC) has awarded biochemist Prof. Dr Ed Hurt a highly endowed ERC Advanced Grant for outstanding research leaders in Europe. The project on the biogenesis of ribosomes will be funded for a period of five years. The researchers in Prof. Hurt's team want to study the largely unexplored processes that take place in the initial phase of the manufacture of these cellular protein factories. The results of the research could contribute to a greater understanding of ribosomopathies – diseases caused by impaired ribosome biogenesis. The research, which is scheduled to begin in 2018, will receive ERC funding of approximately two million euros. 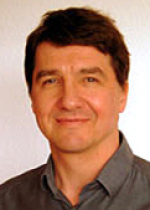 Ed Hurt teaches and conducts research at the Heidelberg University Biochemistry Center (BZH). More info here. 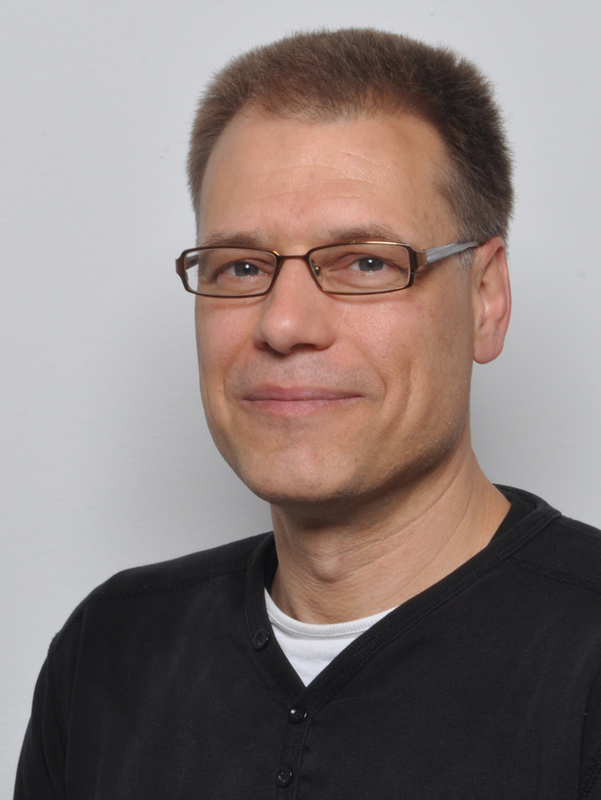 22/02/17 Heidelberg molecular biologist Prof. Dr Bernd Bukau has been awarded a grant of approximately 280,000 euros from the Baden-Württemberg Foundation for a research project on the neurodegenerative disorder of Parkinson's disease. The project is a continuation of the previous work by Prof. Bukau and his team on the dissolution of protein aggregates that are responsible for a number of different diseases, including Alzheimer's. The experiments are focussed on so-called heat shock proteins (Hsp), which cells produce to counteract the aggregates. The Heidelberg University researchers expect their work to provide new insights into the origin and prevention of Parkinson's disease. The foundation is funding the project for three years as part of its "International Top Research III" programme. 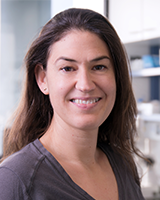 7/02/17 Heidelberg biologist Dr Annika Guse has been awarded an ERC Consolidator Grant for outstanding research talents, a highly endowed grant from the European Research Council (ERC). The funding is earmarked for a five-year project in molecular cell biology to investigate the symbiotic relationships between cnidarians such as corals and single-celled algae. The research, which is scheduled to begin in June 2017, will receive ERC funding totalling nearly 2.3 million euros. A portion of the funds will be used to purchase major research equipment. 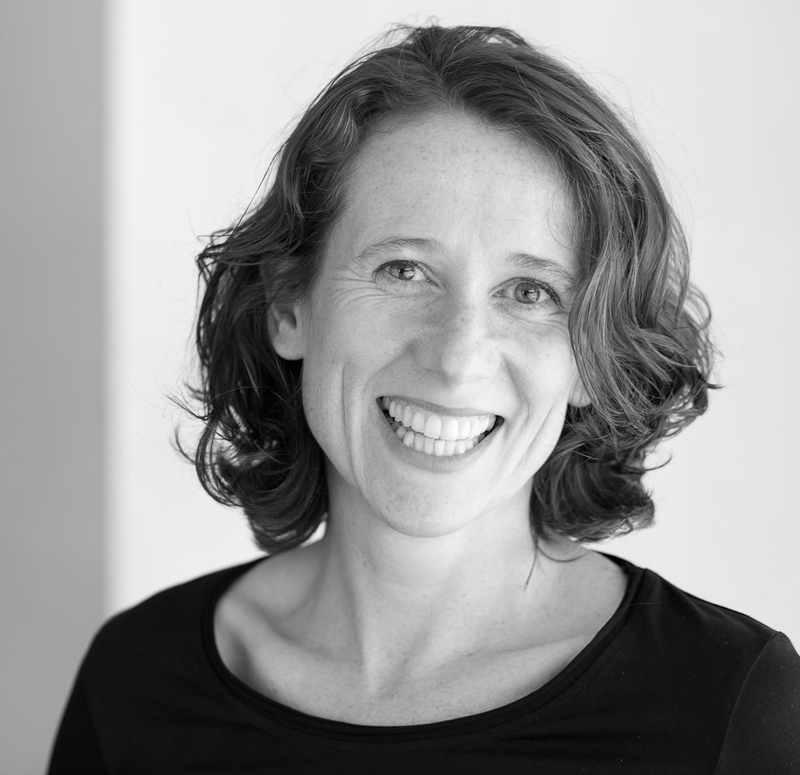 Annika Guse teaches and conducts research at the Centre for Organismal Studies at Heidelberg University.